Lithium Chloride Anhydrous, Lithium Chloride - Mody Chemi-Pharma Pvt. 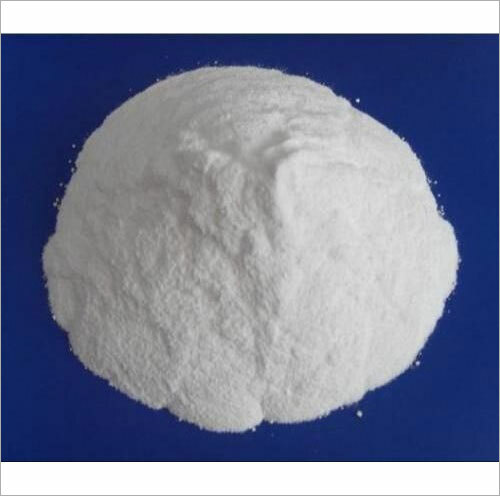 Ltd.
Lithium Chloride Anhydrous is known by the name of 7447-41-8, Lithium chloride, Chlorku litu, as chlorure de lithium, Lithium chloride (LiCl), LiCl, CHEBI:48607, choro lithium, Lithium chloride and has Molecular Formula of ClLi with Molecular Weight of 42.394. It is manufactured through reaction of lithium hydroxide/ lithium carbonate with a hydrochloric acid and can be extracted from other alkali-metal chlorides using amyl alcohol. Having form of deliquescent, cubic crystals in granules or as crystalline powder, white cubic crystals or powder form, it has a sharp saline taste with boiling point of 1383°C and melting point of 610°C. its other properties include Density/Specific Gravity of 2.07 g/cu cm, neutral or slightly alkaline pH and solubility of 84.5 g/100 g water at 25°C; soluble in ethanol, acetone, pyridine as well a s in water alcohols, ether, pyridine, nitrobenzene.